Refurbishing solar farms can be a major financial opportunity for operators. Service providers specialising in this area see it as a lucrative business for both parties. An ever-increasing number of solar plants have been in operation for ten years or more, which in many cases leaves its mark on the system components. In most cases, the plant still has many years of attractive compensation ahead of it. And even for the time beyond that, operators should consider whether a refurbishment or optimisation might make sense. In large solar plants, even small improvements can bring big yield increases. The reasons for yield losses are often problems that can be attributed to inferior products or installation mistakes. When solar was booming, projects could often not be completed fast enough. To make matters worse, some operators invested too little in maintenance and service. This has come back later to haunt them in the form of damage and massive revenue losses. Good advice is often needed. Expert appraisals provide initial information on how to deal with the damage, which can be quite complicated in certain cases. The options range from repair or replacement of components to retrofitting of monitoring systems and data exchange. As an international operator with more than three gigawatts of plant capacity in its portfolio, BayWa r.e. has a wealth of knowledge in this area. Christoph Reiners, managing director of BayWa r.e. Operation Services GmbH, explains: "It is usually the modules, inverters and cables that are faulty, and that is also where yield can be optimised." Installed components from insolvent manufacturers present a particular challenge, he says. According to Reiners, expertise with older components, whose manufacturers have filed for bankruptcy and gone out of business, is in demand. The solar farm refurbishment market in general offers a broad range of opportunities for companies specialising in this sector: "Because components are getting older, we are currently dealing with a rapidly growing market," says BayWa r.e., which has access to a broad international network. The recent acquisition of Sybac Service GmbH has also bolstered the company's position in the German market. Sönke Jäger, the technical director of Adler Solar Services GmbH, also expects increasing growth in the short to medium term with regard to repowering under the EEG. In addition, solar farms that are no longer covered by the EEG due to the length of their service lives are becoming attractive, he says. 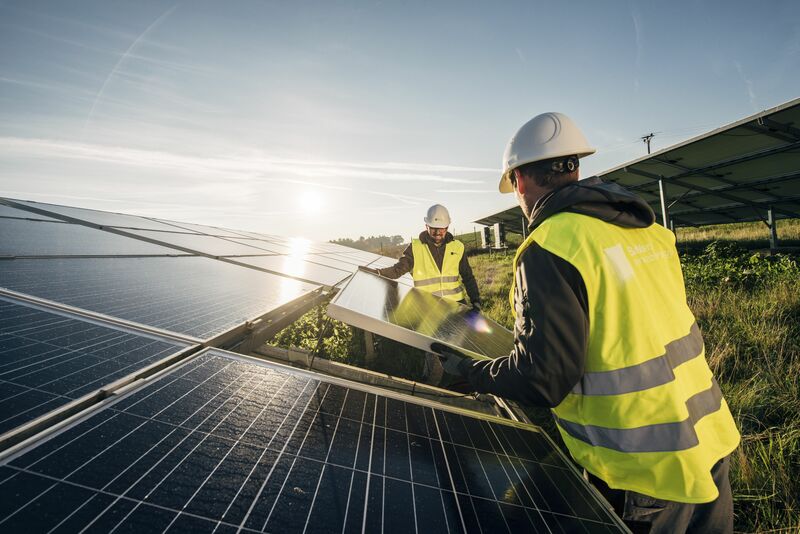 Wi Solar GmbH sees growth due to the withdrawal of former operators from the market: " This means that a number of old systems have no support," says Martin Gött, head of service & maintenance at Wi Solar, describing the current situation. However, IBC Solar AG is only cautiously optimistic. At present the market could better be described as satisfactory, says Oliver Partheymüller, the firm's head of project development and project management in Germany: "In our opinion, optimising solar farms offers greater market potential. But in practice it has scarcely been tapped into so far for economic reasons." As long as the systems are in good running order, components are only replaced where damage occurs. In addition to solar farms with thin-film panels, which we have converted into crystalline plants, we have also had projects that involved retrofitting and converting design from central-inverter to string-inverter based," says business developer Stefan Wippich. Envaris is a partner in Secondsol GmbH in Meiningen, Germany, a company that trades in used modules. Its managing director Frank Fiedler also says that business is good: "In the last quarter of 2017 alone, Secondsol's Repowering unit purchased and resold around 400,000 used modules." In the previous year, the figure was around 250,000. In addition to the German market, international markets are also picking up: Belectric Solarkraftwerke GmbH says that owners' willingness to untertake refurbishments is primarily evident in other European countries at present, particularly in Italy. Encome Energy Performance GmbH in Klagenfurt, Austria, also reports major orders in the engineering and consulting business, especially in Europe and Australia. Finally, Meteocontrol GmbH is also keenly interested in international territory in the field of refurbishment, as Managing Director Robert Pfatischer explains: "The emerging PV markets such as India, Japan, China, South America and the USA are of particular interest to us, but the European market has also remained very stable. Most providers have the entire spectrum of plant refurbishment services in their portfolio. This begins with the appraisal. The first step is a yield analysis and comparison with simulation values, preferably at the module row level, so that damage can be optimally localised. This is usually followed by technical checks, such as irradiation measurements, I-V curve assessments, isolation measurements and thermal imaging inspections. The latter can not only indicate faults in modules, but also detect overheating of other components such as inverters and cables. For more specific tests on solar modules, such as by electroluminescence or with lasers for power measurement, system components must be removed and examined in more detail in mobile or stationary laboratories. All of the tests are documented and used to create an individual planning concept. Essential components of such a concept are a set of recommended actions, a profitability analysis and the design of the technical refurbishment concept with a project schedule. Subsequently, an offer is prepared, and individual financing options can be examined. It is also important to check possible guarantee and warranty claims. But be careful: it does not always make economic sense to repair defects immediately. Meteocontrol advises asking whether repairs are necessary for safety reasons. “Does the economic damage have to be contained immediately, or can the fault be remedied as part of regular plant maintenance, if need be?" In any case, says the company, a detailed analysis of the technical and economic conditions should precede the decision. Once the order has been placed, work can begin in the solar farm. When replacing the solar panels, disposal of the old modules should also be considered. Once the work is complete, a test run begins with monitoring, documentation and handover. At that point, the operator should consider taking out a suitable service and maintenance contract as soon as possible to avoid any further damage in the future. Since refurbishing a solar farm can be associated with higher costs, it is advisable to take a close look in advance at what is causing the lower yields. In principle, the defects could be hiding in any component, but some are more likely than others. "In the course of regular system operation, owners should expect the inverters to need replacement once during the service life of the plant," says Meteocontrol. By contrast, the modules can be expected to operate stably for at least 25 years throughout the service life of the system. But this only applies if they have no damage due to microcracks or other defects. Meteocontrol knows that in most cases it is rather easy to remedy circumstances that cause a reduction in power production: "Often shading by grass or a general soiling of modules significantly reduces the yield." At Envaris, the shading problem sometimes has a simple solution. If the lower module rows are shaded at certain times of the year, changing the wiring is often sufficient to increase the yield of the system. In addition to glass breakage and delamination, degradation effects are always an issue with solar modules. "If faults are detected early or in greater detail - at the level of individual strings, for example - they can be rectified faster and more cost-effectively," says Stefan Wippich from Envaris GmbH. In the case of potential induced degradation (PID), Meteocontrol first tries to find out whether the process can be reversed by changing the earthing concept. With other components, too, the solutions can be surprisingly simple. For example, when dealing with central inverters, sometimes greater efficiencies can be achieved just by replacing individual components. Changes in monitoring can also increase earnings in such systems. Only once these steps have been exhausted is changing panels necessary. When does refurbishment make sense? 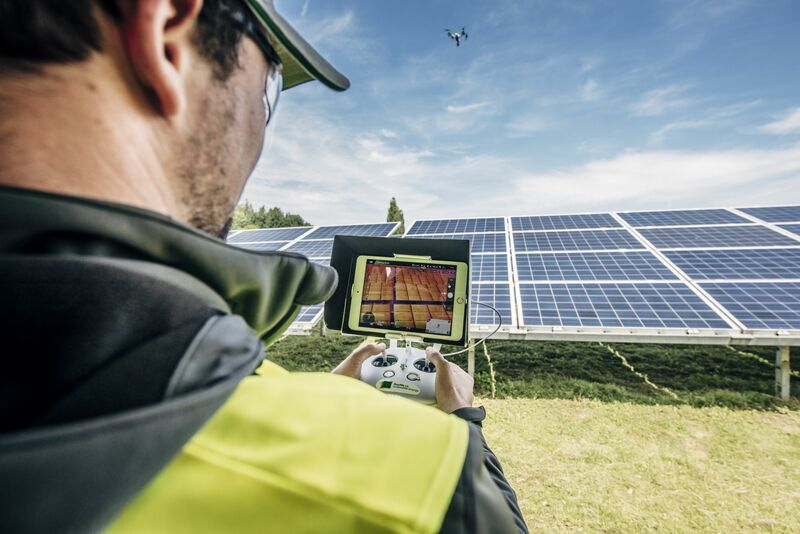 Given the choice between replacing modules and repairing them, most providers of solar farm refurbishment services clearly prefer the first option. 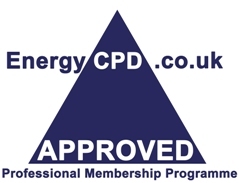 Encome Energy Performance GmbH usually replaces defective modules with new or used modules. Belectric also says that replacement is always the first choice, provided the warranty conditions cover it. Repairing modules, on the other hand, usually makes little economic sense, not least in view of the massive drop in module prices. Repairs are still most likely to be used in cases of serial defects where the high number of units can justify the whole procedure. In practice, replacing defective junction boxes or diodes appear to be relatively simple repairs. By contrast, replacing modules offers the operator an additional benefit that should not be underestimated: "If modules are replaced, their higher capacity results in additional space for enlarging the photovoltaic plant," says Stefan Wippich from Envaris GmbH. If the grid connection point and the feed-in tariff under the EEG allow it, this could be a very lucrative proposition for operators. Whatever the individual case for refurbishment, these various approaches provide examples of how subjecting their old solar power plants to a detailed analysis and then a thorough face-lift can be increasingly worthwhile for operators.